Rev. Myozen Joan Amaral is a dharma lineage holder in the Soto Zen tradition as passed down through Shunryu Suzuki Roshi and San Francisco Zen Center. Since establishing the Zen Center in 2012, she has been exploring the connection between zazen, social justice, self-care, and creativity as a path of true happiness. Rev. Hogetsu Laurie Belzer is a Soto Zen priest in the tradition of Shunryu Suzuki Roshi. Although she primarily practices in Chicago at Ancient Dragon Zen Gate, Laurie happily makes an annual journey to help her dharma friends at Zen Center North Shore sew their rakusu in preparation for the ceremony of receiving the bodhisattva precepts. She has been a student of the Nyoho-e practice of sewing Buddha’s robe for over 20 years and is grateful to support this ancient, wonderful dharma practice of sewing through teaching and continued study of the rakusu and okesa. One of her favorite Zen verses comes from a Green Gulch Farm t-shirt: “Working hard, accomplishing nothing”. For more information on sewing Buddha’s robe and links to resources, please see ancientdragon.org/buddha-robe. Jikan Bevan is the Ino. His role includes managing the zendo, or meditation hall, welcoming and orienting newcomers to the practice space, and supporting the doanryo, the group of sangha members who serve in temple roles. Jikan began practicing at ZCNS in 2015, and was lay ordained in 2018. When he is not at Zen Center, you can most likely find him teaching third grade, or raising his three beautiful boys. Dave Buchanan is the Meditation in Schools Committee Head. He coordinates outreach and planning for the program. Dave started Zen practice at ZCNS in 2017. He has a Masters in Education and taught history-social studies and literacy for many years in a variety of settings before serving in a number of roles at the MA Department of Elementary and Secondary Education. Currently, he works for a non-profit that provides curriculum, and advocates for improved policy, on civics education. Dave’s practice includes running, writing, and being a parent. Clint Dalton is the ZCNS Board President and a family law practitioner focusing on divorce litigation and mediation. Attorney Dalton was born and raised in Ipswich and is a graduate of St. John’s Preparatory School, Stanford University, The Graduate Institute at St. John's College, and The University of San Diego School of Law. Prior to attending law school he established the San Francisco office of Human Rights Watch. He began a focused Zen practice 18 years ago in California and is honored to support the mission of the Zen Center. He lives with his wife and two children in Ipswich. Bob Dillon is the Head Doan, one of the people who takes care of ceremonies at Zen Center. Bob first became interested in meditation while studying mindfulness in psychiatry training, but wanted to dig deeper into its ancient roots. He first took refuge/lay precepts in 2014 in the Karma Kagyu tradition, with Khenpo Karthar Rinpoche, then studied Mahamudra (Shamatha & Vipassana) with Lama Willa Miller. After reading “Zen Mind, Beginner’s Mind,” by Suzuki Roshi, he began hunting for Zen teachings, and then had the great fortune of finding Myozen Joan Amaral and ZCNS. That was a couple of years ago! Bob practices psychiatry and psychotherapy as a Nurse Practitioner in Hampton, NH, specializing in drug addiction treatment and general psychiatry. You can find him at insightmedicalgroup.com. Kate Farrington is Social Justice Group Co-Facilitator. 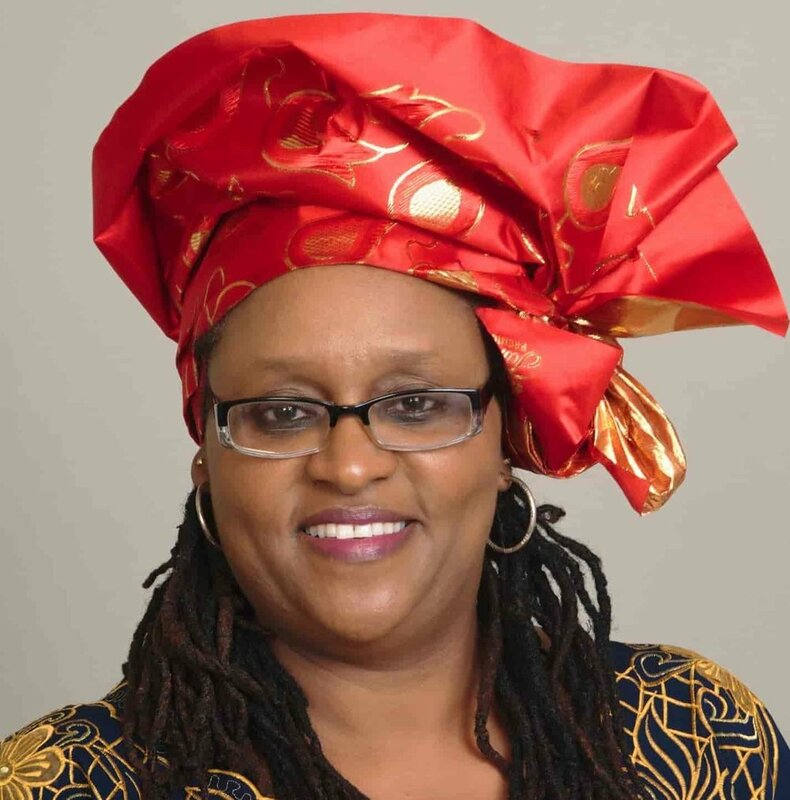 Along with Esther Ngotho, her role is to implement a year-long curriculum that coordinates self-care, education, advocacy, community-building, and action on social justice topics such as racial discrimination, immigration, housing, the opioid crisis, and the environment, among others. She is an artist and professor of liberal arts at Montserrat College of Art. She first came to ZCNS in 2015 with her Eastern Philosophies class as a way to extend the class's study beyond theory. Since then, she continues to practice and learn from zazen meditation, and has embraced the many ways Zen practice has impacted her life personally. Esther Ngotho co-facilitates the Social Justice Group with Kate Farrington. She is a Kenyan native. Her immigration story is an experience that makes her a tenacious advocate for vulnerable people and brings a unique perspective. She is currently a Doctorate of Public Health student, and serves as a Board member for the Refugee Immigration Ministry, advisor to the Beverly Bootstraps Board, and Human Rights Committee member for the City of Beverly. She is an educator, a nurse, and a voracious health and anti-poverty advocate. Esther first came into contact with ZCNS in the summer of 2016 and became a friend of the Center. As a believer in multi-faith coalition, she continues to learn and embrace the Buddhist teachings about our minds, our suffering, and our humanity. Gail came to the ZCNS community in 2016 and served as Treasurer from 2017-2018. She is retired from a career with the University of California, San Francisco where she was a research administrator. Gail is currently involved in writing and working on various lines of ZCNS community service and is especially interested in meditation in schools, immigration, and veterans’ welfare. She enjoys playing with her grandchildren when she gets to visit them and spending time with family. Michiko Imai is from Nara, Japan, where she started studying calligraphy at the age of 4. She has been a professional calligrapher in the United States (Salem, MA) since 2008 and at ZCNS since 2013. Michiko is convinced that calligraphy can affect our lives in a positive way. She believes that the effects of positive change aren’t immediately apparent, but reveal themselves only by trusting a step by step process. Michiko especially values the cultivation of patience through the practice of calligraphy. She is delighted to share her calligraphy practice at Zen Center. You can find her at michikostudio.com. Lita Xú Ling Kelley is the Jisha and the Social Media Manager. She is the attendant to the officiating priest for ceremonies, and manages Zen Center's Instagram and Twitter pages. Lita came to Zen Center in July of 2017, through Kaz Tanahashi's Painting Peace Zen Arts workshop. She is a photographer and parent. In her view, the practice of zazen means "just sitting," or returning home to wholeness. You can find her at litakelley.com. Shastri Nick Kranz is a Resident Teacher at ZCNS. His role is to offer classes and teachings in support of the Guiding Teacher. Nick has been a student of Sakyong Mipham in the Shambhala Tradition for over 20 years, and was appointed Shastri or Senior Teacher in 2013. He has developed a form of meditation called social meditation, practiced all over the world. He is very interested in Zen practice, and how the friendship and collaboration between the lineages of Suzuki Roshi and Trungpa Rinpoche, the founders of San Francisco Zen Center and Shambhala, can continue to blossom at ZCNS. You can find him at nickkranz.com. Tom Laaser is the Work Leader as well as Veterans’ Co-Liaison, with Mike Magyar. As work leader, he organizes the supplies, repairs, and cleaning of the building. His role as veterans’ co-liaison is to help connect military veterans with resources they may need in their meditative practice and life as well as assist the Zen Center in veteran outreach and inclusion. Tom is a veteran of the United States Army, having served with the 10th Mountain Division out of Fort Drum, NY. He believes the practice of Zen not only helps him to live at peace with his unpeacefulness, but also inspires him to help others and lead a better life. Michael Magyar is the Veterans' Co-Liaison with Tom Laaser and Head Chiden. His role as Veterans’ Co-Liaison is to promote “more love, less fear” in the lives of veterans. Michael served with the 5th Mechanized Infantry Division out of Fort Polk, Louisiana, and with the 414th Base Support Battalion out of Hanau, Germany. His role as Head Chiden is to take care of the altars. The chiden cleans the incensors, makes sure that incense is available for service, and that the altar candles are in working order. Michael is an avid ice cream and chocolate fan. He enjoys trying to live each day with more love and less fear - beginning with the continuous practice of sitting meditation. Kathy Lique is the Volunteer Coordinator, offering opportunities for people to become more actively involved in the sangha. She sends out monthly emails so that Zen Center members will know about volunteer needs. Kathy has practiced Buddhism for 14 years, starting with Shambhala and transitioning to Zen two years ago. She feels that meditation practice has helped her to connect both with her own basic goodness and that of others. She values the Center’s deep commitment to social justice. Wushin Kevin Peng is the guiding teacher assist. His role is to help the guiding teacher directly in an administrative capacity. 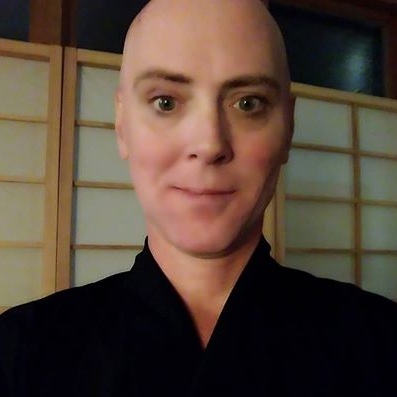 Kevin started Zen practice at ZCNS in 2015, was lay ordained in 2017, and spent two years training at San Francisco Zen Center. A pianist and a cook all his life, Kevin is now most interested in how Zen practice, music, and healthy eating can inform one's well-being in everyday life. I'm excited to join the Board as a Member and Advisor. With my background in marketing, I hope I'll be able to support the community by increasing the Center's visibility. I’ve had the opportunity to meditate and learn about Buddhism over the last 18 years. I look forward to a richer understanding of the many benefits of the Center: meditation, social justice and learning from a variety of workshops held in this sacred space. You can find me at lisaannschraffasantin.com. Matt Stella, LICSW, DIpl.PW. lives and works in Salem. He has been a psychotherapist in private practice since 2001, working with adults, teens, families and groups in Salt Lake City and the Boston area. Throughout his clinical career, he has led Men’s Groups and specialized in men’s issues, including the effects of sexual abuse and trauma on men. In addition to his Masters in Social Work, Matt received a Masters in Process Work, a holistic approach for social change and conflict facilitation that blends principles of contemplative psychology with Jungian concepts. He has facilitated conflict work with groups at various seminars in Greece, Poland, and throughout the US.